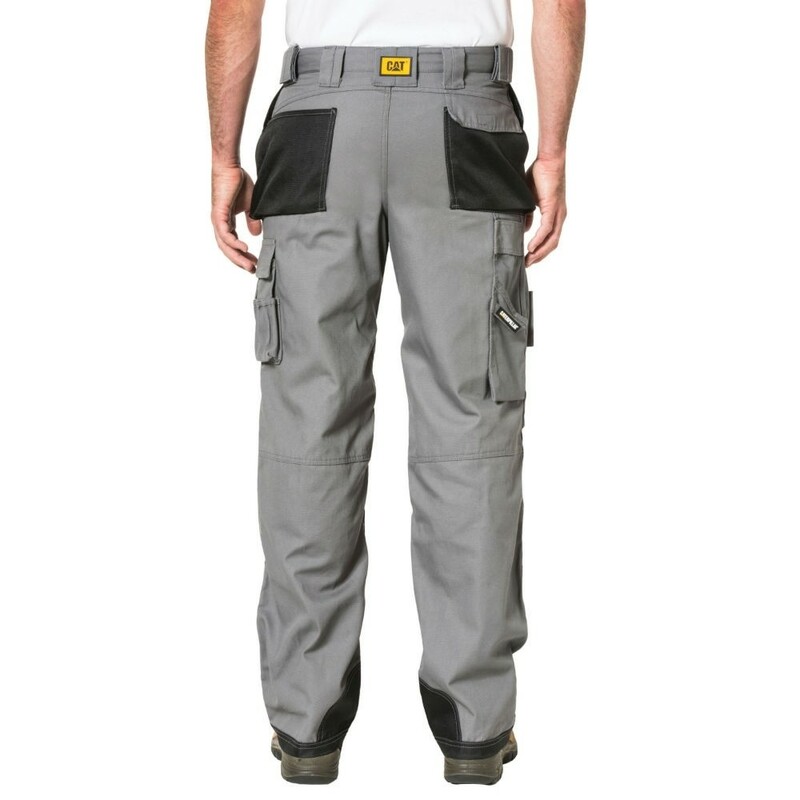 Cat’s Trademark Trouser is built to handle the toughest job sites. 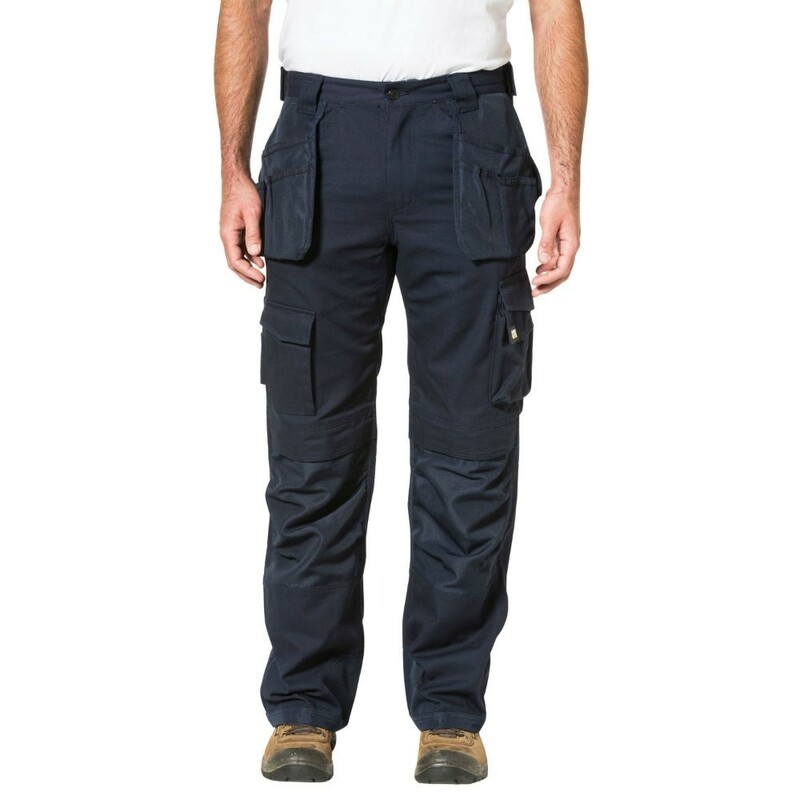 Complete with hard-wearing C2X canvas fabric, multi-purpose tool pockets, scuff guards, and built-in knee pad pockets, this trouser is fully equipped for the hard-core worker. Left side bellowed cargo pocket with hook and loop flap closure for extra tool storage, keeping them easily accessible and secure. Back oxford bellowed pockets for comfort while working. Hook and loop closure keeps items secure while also allowing for ease of opening when work gloves are on. • KNEE PAD POCKET: Built-in pocket to hold knee pads, saving your knees from undue stress.